NHL News : NHL insider identifies the next GM to get fired! NHL insider identifies the next GM to get fired! This wouldn't come as a surprise, honestly. Despite the fact that there have been some tremendously disappointing teams this season (looking at you Edmonton Oilers, Ottawa Senators, and Montreal Canadiens! ), there is only one general manager who lost his job this season: Ron Francis, of the Carolina Hurricanes. He was actually "promoted" to President of hockey operations, but it doesn't really feel like a promotion for him, as the new GM will report directly to the owner, Tom Dundon. Now, who's next? Montreal Canadiens' owner Geoff Molson has said multiple times over the past few days that GM Marc Bergevin was here to stay. Same thing for Pierre Dorion and the Ottawa Senators. 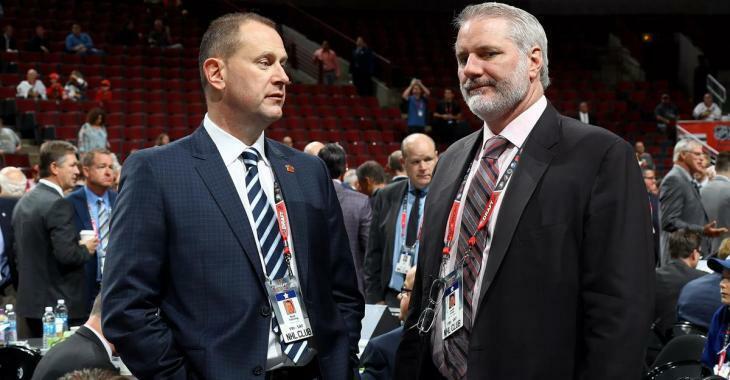 TSN insider Darren Dreger believes New York Islanders general manager Garth Snow might be at risk of getting fired, depending on what happens in the John Tavares saga. Well look, Garth is a pro,” noted Dreger. “He’s been around the game forever, both as a player and now as a manager. So if he were to be let go, I don’t think that would come as a shock to him. I mean, it’s a results-driven business. If he’s not capable or successful in signing Tavares – the jewel of the operation – long term, then ownership of the Islanders is going to look at him and go, ‘Really? What happened here?’ Now in saying that, ownership is also reasonably close to Pat Brisson, the agent for John Tavares. So it’s not like Garth Snow is keeping his owners in the dark. He’s not. They’re involved." I guess we will have to wait and see. Which GM do you think will get fired next?